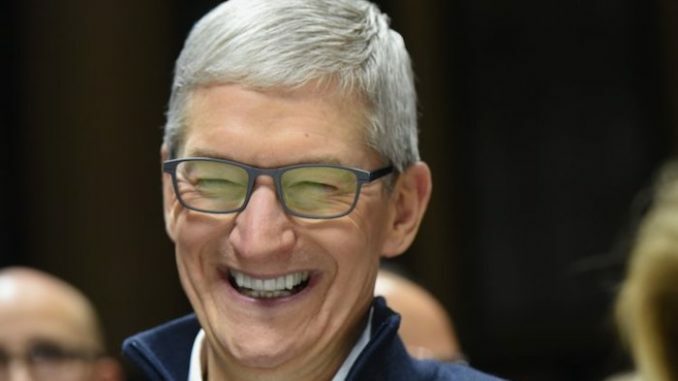 Apple CEO Tim Cook says that “dangerous conspiracy theorists” have no place on the Internet or on Apple platforms. Cook blasted free thinkers and independent journalists such as Alex Jones after receiving the first “Courage Against Hate” award from the Anti-Defamation League (ADL). He used his time onstage to blast those who spread non-mainstream views online. Theverge.com reports: “Violent conspiracy theorists” refers to Alex Jones’ Infowars, which was removed from Apple’s App Store earlier this year. Jonathan Greenblatt, the ADL’s CEO, specifically mentioned Jones’ removal from the platform as a key moment in fighting back against hateful content, noting that Apple’s decision to remove Infowars led to its removal from other platforms, including YouTube, Twitter, and Facebook.